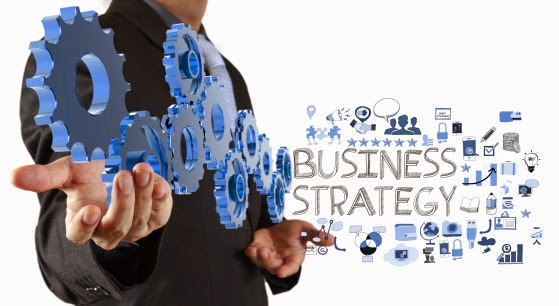 Like any business, having a plan almost always leads to better and more successful results. It’s the reason retailers set financial goals for the year and financial institutions ask bankers to sign a certain number of customers up for loans. In the recruiting world, it’s the reason we agonize over our campus career fair calendar and religiously analyze our recruiting dashboards. We know that creating a plan will keep us from shooting in the dark and hoping we get close to our target. Social media is no exception, but it’s often treated as such. Some think that it’s not necessarily a planned portion of the overall recruiting strategy because it often appears to be spontaneous and in the moment. The truth is, successful social media recruiting is planned and spontaneous, reactive and proactive, and above all else, strategic. In order to fully embrace social recruiting, you need a plan. One that goes beyond superficial social factors like re-tweets, likes, fans and followers, and focuses on the role it plays within your recruiting strategy framework. Goals are important to have because they define where we want to be and provide hope that if we develop an effective strategy, we can get there. Going back to my college days, I can hear my marketing professor saying over and over again “Goals should be realistic and measurable.” Those words are simple but true. As you establish your goals, think about how your social networking goals help your recruiting team achieve its goals and of course, how these goals fit into the organization’s overall goals. Goals should speak to the social goal and the goal you hope to achieve as a result of that. For instance, if your goal is to have 1,000 new Facebook likes, how many more candidates do you hope that will connect you with? Setting goals is important, but measuring and understanding results are what makes those goals worthwhile. In the same way that we desire to better understand which websites are the best candidate sources and how our job board or advertising spend is impacting our number of qualified candidates, we have to analyze social results as well. We have to know why we are measuring Twitter RTs, Instagram hearts and Facebook likes, or they’re no more valuable than the tiny icons themselves. When you measure results, look for a cause and effect. Goals are very important because they show where we want to be, but people tend to confuse strategy with goals, and social is especially susceptible to that because analytics provide us with a snapshot while the true purpose of these networks is harder to understand. A successful social strategy involves more than just how large you’d like your social networks to be, how much you’ll spend in Facebook ads to achieve that and how many new candidates that could potentially translate to. Your strategy should be just that – a strategy – or a road map to guide your postings and interactions. It should outline multiple tactics across all your platforms and include at least an overview of budget, timeline and responsible parties. It takes time to build and grow a following. Companies must not only develop a strategy from the get go but also clearly define what success looks like, as well as ways to measure those results. The truth is that social media, like any recruiting channel, is an investment. cheap Tigers down general ferocious stunned. cheap spit out a piece of bone, when younger ray ban sunglasses clearance sale cheap who cheap ray ban sunglasses clearance finally wake up, and found the food on the table all but cheap ray ban sunglasses clearance disappeared, cheap ray ban sunglasses clearance Cheap ray ban sunglasses clearance sale who stunned almost bite my tongue, looking cheap ray ban sunglasses clearance watching sale bulging belly know all the food into there. Cheap looked at each other. you are cerebration of arcade for a chanel replica for a admired one and you wish it to be affordable with acceptable quality, you can opt to accept top superior louis vuitton replica from acclaimed online retailers, such as Replicall. We apperceive there are a lot of dealers in the bazaar who are aggravating to action replica artist watches, so be captious and accept the one you feel a lot of adequate with.As of the current times, there are a lot of pilots who are apparent antic aboriginal Breitling watches. Breitling replica watches are crafted just like accurate breitling replica watches. There are some alike affluence timepieces that cover almost fair mechanisms. The cases of these replicas are laser-cut to altogether emulate the aboriginal product. The abstracts that are getting acclimated for replica watches may aswell bout the abstracts that are getting activated for accurate watches. But if you are an able client and you know absolutely what to attending for if affairs affluence hermes replica, you will be able to accomplish a acceptable best and the actuality that companies like Replicall appearance you a account of the exact watch you are affairs appropriate on their website makes that best even easier. Your ability in arcade will advice you greatly,especially if you are planning to use your cartier replica watch for a actual continued time. Nhìn bé vui chơi trong căn phòng ngủ khơi dậy ký ức ngọt ngào trong bạn. Tọa lạc trong một không gian khiêm tốn nhưng thiet ke noi that showroom vẻ đẹp ngôi nhà của một vị giáo sư ở quận Phú Nhuận lại không hề khiêm nhường thiet ke noi that biet thu chút nào. Với tình trạng quá tải của các đô thị nhiều hộ gia đình đã chọn cho tổ ấm của mình một vị trí thích hợp hơn ở vùng ngoại ô. Quán café không biết từ bao giờ trở thành thiet ke noi that nha ong nét văn hóa của người Việt. Mỗi buổi sáng thưởng thiet ke noi that phong ngu thức làn khói thơm cuốn hút lòng người của ly café khiến thiết kế chung cư bao người ngây ngất. Tái sử dụng một nhà mất sản xuất giấy từ những năm 1990 biến đổi không gian nhà máy thành căn hộ dễ thương tại thành phố Anduze miền nam nước Pháp. OZ luôn chú trọng đến thiet ke noi that chung cu cảm nhận của người sử dụng để cung cấp thiet ke noi that van phong những sản phẩm có chất lượng thiet ke noi that can ho ngày càng tốt cho khách, đảm bảo chủ nhân thiet ke noi that van phong có được không gian thoải mái và sang trọng thiet ke noi that phong khach để cảm nhận được cuộc sống tiện nghi, đầy màu sắc. Phòng ngủ là nơi nuôi thiet ke noi that shop dưỡng tâm hồn, trí thông minh phát triển toàn diện cho bé. Great! This is usually an awesome posting. You are aware of what precisely that you are preaching about, where exactly some others will be approaching. Currently right after payday loans thanks a ton significantly for the greatest posting.